Google’s Chromecast allows you to send anything you can view in a Chrome browser tab to your PC. You’re not limited to just web pages, as Chrome can play local videos and music files and display PDFs and Office documents. Sure, you could Chromecast your entire desktop, but this is an all-around cleaner solution that allows you to cast only the content you care about and switch between browser tabs, doing other things with your computer while one tab streams. Note: we are assuming that you’ve already installed the Chromecast extension for Chrome. Google’s Chromecast device streams most media from the cloud, so if you play a Netflix or YouTube video, the Chromecast will connect to Netflix or YouTube and get the video from there. That’s why playing local video files is a bit different — there’s no cloud location to stream them from. To play local video files on your Chromecast, you can use the Chromecast extension’s ability to cast a browser tab. Google Chrome includes support for several common video formats, so all you have to do is drag-and-drop a local video file of a supported format onto Chrome. 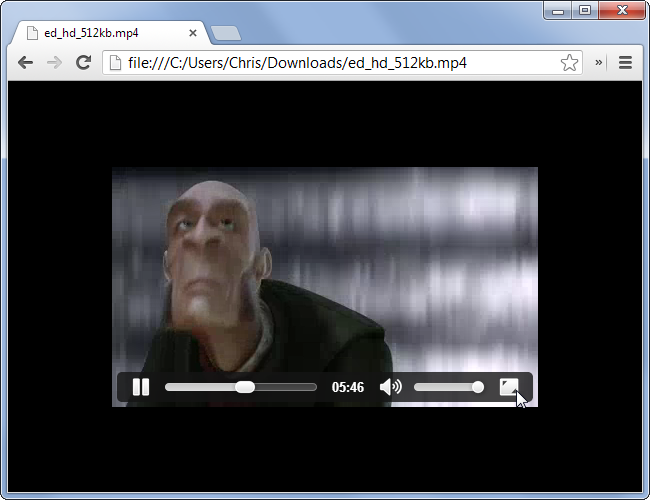 It will start playing in Chrome’s built-in video viewer. If you have a video in another format and you want to play it in Chrome, you’ll need to convert it to a supported format — MP4 will likely be the ideal one. You can do this with a video conversion utility such as HandBrake. 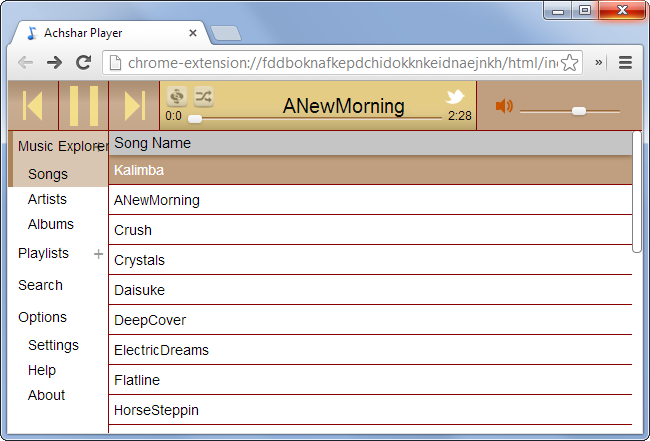 Chrome also includes the ability to play certain types of audio files. This means that you could play a music file in a browser tab and cast it to your TV, effectively taking advantage of your television’s speaker system to play music from your computer. 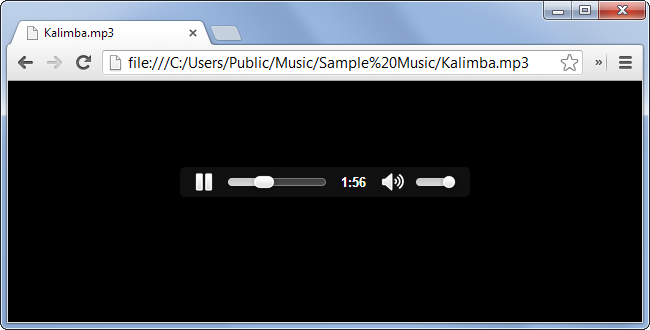 You can open supported music files in the same way you’d play videos — just drag and drop a music file onto Chrome’s browser window and it’ll start playing in a tab. If you find yourself using Chromecast as a music player, this interface will be rather awkward as you’ll have to drop every song you want to play onto your browser window after the last song ends. To make this more convenient, you can install a Chrome extension like Achshar Player that gives your Chrome browser a built-in local music file player. Of course, you could also use Chromecast to play music by casting a tab containing a web-based music service like Spotify, Pandora, or Rdio. But this is how you’d do it with local music files. 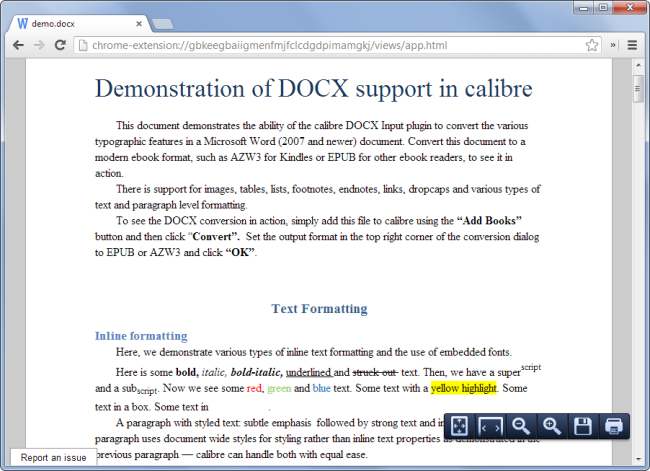 Chrome has a built-in PDF viewer, although this viewer only functions when you come across PDF files on the web by default. 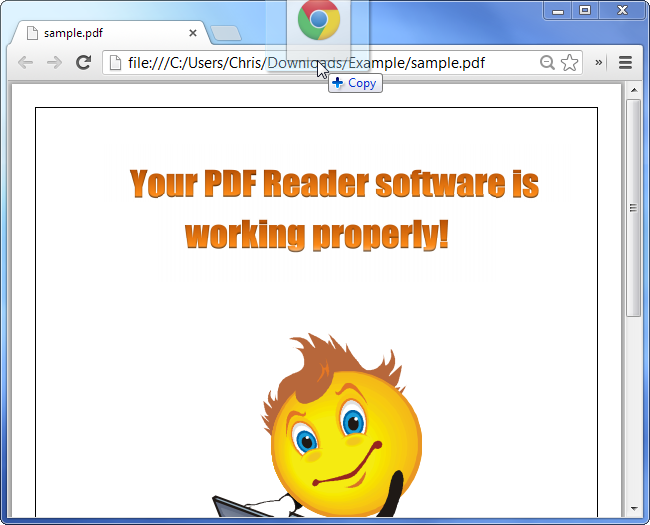 If you’d rather use the PDF viewer for all files on your computer, you can right-click a PDF file on your computer and set Chrome as your default PDF viewer. PDF files will then open in a browser tab. 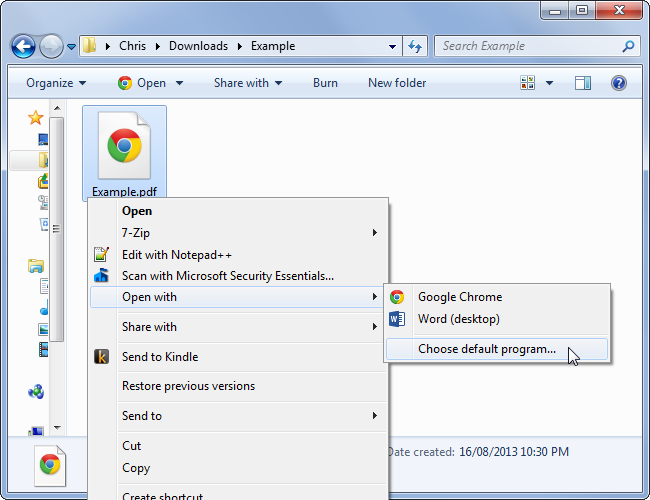 You can also drag-and-drop PDF files from your computer to your Chrome browser and have Chrome open them, whether or not you’ve set Chrome as your default PDF viewer. Google is adding support for viewing Microsoft Office documents to Chrome. Currently, this support is only available through installing the Chrome Office Viewer extension from the Chrome Web Store. After installing the extension, Chrome will gain the ability to view Word documents, Excel spreadsheets, and PowerPoint presentations right in the browser — no need to install Office or any of Microsoft’s Office Viewer apps. This is particularly useful on Chromebooks, which is why the Chrome Office Viewer extension is included by default on the Chromebook Pixel. Google is even working on adding completely local and offline Office document editing to Chrome. To view an Office document after installing the extension, just drag-and-drop it into a Chrome browser window. Thanks to Chrome’s reliance on web apps, you can also Chromecast anything you can open via a web app. However, Chromecasting your entire desktop may be the best solution for some types of files.